Are you suspecting that someone might have stolen your car keys? Or is your current car lock system imperfect? Here you might just need the service of a mobile locksmith Adelaide, someone knowledgeable about changing or upgrading the whole lock system and will bring the service to where you are. It could also be that you wish to get spare keys to your car incase you loose what you currently have or is it that you want to have one harmonised key for all the doors and ignition of your vehicle? Here you might need a rekeying service and a locks overhaul. Also could it be that your car keys got lost and now you just risk everything and leave your car unlocked each time? What you need in order to get out of this risky situation is a locksmith to devise a new pair of keys for your car doors. Lastly but not list, could it be that you lost your keys while your car was locked or maybe you locked them in your car? What you need here is a rekeying service to gain a get a new key to gain access to your car. The latter scenario is particularly important because it combines both inconvenience and safety matters. There has never been an inconveniencing moment like when you lost the keys to your car and you cannot gain access. You don’t want to imagine it happening when it’s pitched dark late night and you want to get home after a party or early morning and you have to report to work on time. Such is the time you do not want to imagine about thugs and muggers who might decide to take advantage of your predicament and harass you while you are locked out of your car. However, in all these nasty scenarios concerning your car keys, it is important you understand only a reliable mobile locksmith in Adelaide can help you out. 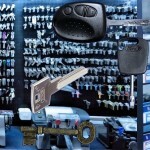 The sad thing however is that it is not easy to find a committed mobile locksmith in Adelaide. You will be the luckiest person to discover Port Locksmiths. This is one of the most faithful, affordable and reliable mobile locksmiths for cars in Adelaide. They handle all the above described scenarios in the most professional way. What’s more, they bring the services right to where you are. They treat car keys and locks cases as emergencies and therefore will respond to your call faster than you ever anticipate.